Brilliant technique and tonal beauty mixed with an expressive ferocity. ...Poulenc’s Clarinet Sonata...a bright and genial account...a strong impression. 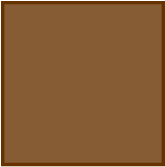 ...beyond reproach...with a full liquid tone. Chad Burrow is one of those rare musicians who can combine all of his musical and instrumental skills to communicate with an audience. Duo Clarion was formed in 1999 at Yale University and is now based at the University of Michigan. 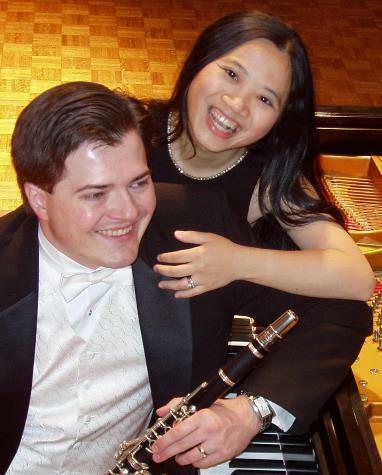 Duo Clarion maintains an active series of performances throughout the United States, Europe and the Far East. In 2009 New York Times critic, Steve Smith, called a Duo Clarion performance, “a bright and genial account. Duo Clarion has garnered rave reviews and standing ovations from performances in Boston, San Francisco, Vancouver, Taipei, and throughout Denmark. They have thrilled audiences in performances presented by the Amadeus Piano Festival, Norfolk Chamber Music Festival (CT), Music in the Pines Concerts at Stephen F. Austin State University (Texas), Stonington Opera House Summer Series (ME), Civic Music Association of Oklahoma City, Oklahoma City Chamber Music Series, OK MOZART International Festival, and the Chopin Society of Mid-America. 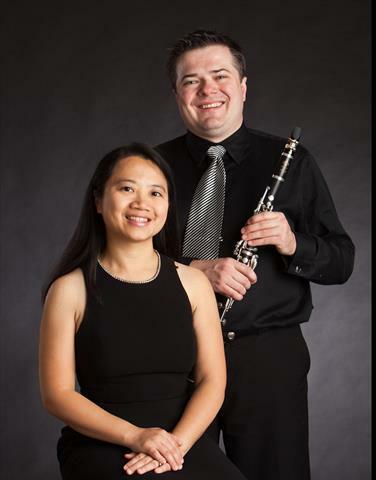 They also have been featured in concert performances at national and international conferences, including the Society of Composers (2004 and 2009), the 32nd Annual Clarinet Symposium at the University of Oklahoma, and the International Clarinet Association’s 2007 Conference in Vancouver. Duo Clarion enjoys collaborations with other professional ensembles such as the Providence String Quartet and the Van Dingstee Quartet from the Netherlands and has participated in residencies with Community Music Works in Providence, Rhode Island. Duo Clarion’s work has been recorded and released by Albany Records and by Wei Studios. Chad Burrow, clarinet, was appointed to the faculty of the University of Michigan in 2009. He is the winner of prizes and awards from the 2001 Young Concert Artist International Competition in New York City, the 2000 Woolsey Hall Competition, the 2000 Artist International Competition, and the 1997 Fischoff National Chamber Music Competition. The European press has said that Burrow performs with “brilliant technique and tonal beauty mixed with an expressive ferocity.” In a summer of 2007 review, the Danish critic, Henrik Svane, went on to describe a Burrow performance as filled with "virtuosity, energy, and power without compromise." Amy Cheng is a graduate of The Curtis Institute of Music (BM) and Yale University's School of Music (MM and Artist Diploma) where she studied with Claude Frank. She is currently a Doctor of Musical Arts candidate at the New England Conservatory, where she studied with Ms. Wha-Kyung Byun. She has performed in master classes for Emmanuel Ax, Boris Berman, Leon Fleisher, Murray Perahia, Gary Graffman and Mischa Dichter. She has studied chamber music with Robert McDonald, Michael Friedmann, John O'Conor, Peter Frankl, Issac Stern, Emerson String Quartet, American String Quartet and Orion String Quartet. Amy Cheng was Assistant Professor of Piano at Oklahoma State University (2002-06). She also served as chair of the piano department and Assistant Professor of Piano at Oklahoma City University (2006-09). Most recently she served on the faculty at the InterHarmony International Music Festival at Birklehof in Swarzwald, Germany. Upcoming performances for this season include concerts in Oklahoma, New York City, New Haven, Texas, Taiwan and Brazil.